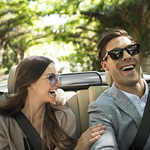 As our friends and neighbors begin planning out their itineraries for their road trips in spring and summer, the Century Volvo Cars team has decided to put together a brief guide to help you stay safe during your trip. Before you ever leave home to go on a road trip, you should spend some time inspecting your vehicle's key components to ensure that they are working as they should. In doing so, you must pay particular attention to the engine, the battery, the brakes, and the steering. If you notice any issues, you should address them before you start your road trip. You should also take some time to create an emergency kit to carry with you on your road trip - just in case you run into any difficulties. Your kit should include jumper cables, a first aid kit, blankets, a good flashlight, and anything else you think you might need.